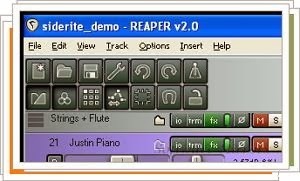 REAPER is an application that able to record, modify, edit and save your own musical compositions in audio files with support for multiple tracks. REAPER includes a wide range of functions and features, it supports audio plug-ins, to undo any action performed (with support for layers) and also has various configuration options. You can record and playback using ASIO, Kernel Streaming, WaveOut or DirectSound, using already incorporates the effects of REAPER and inserting your own audio files. Overall, REAPER is a powerful application developed with multitrack support for editing and audio recording.